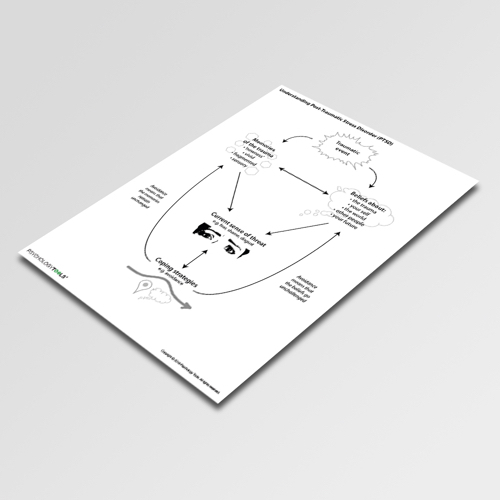 Ehlers & Clark’s cognitive model of PTSD outline key maintaining factors. 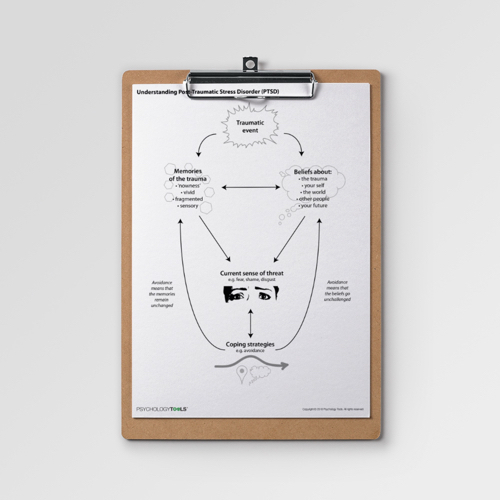 Understanding PTSD is a simple pictorial explanation of the maintenance of post-traumatic stress disorder (PTSD). Understanding PTSD is a simple pictorial explanation of the causes and maintaining factors in post-traumatic stress disorder (PTSD). It is adapted from the Ehler’s & Clark (2000) cognitive model of PTSD, but uses language clients can more easily understand. Clients with PTSD often find this simplified formulation helpful for understanding critical mechanisms which operate in PTSD. These include: ‘unprocessed’ memories which lead to re-experiencing; negative beliefs, assumptions, and attributions which increase the sense of threat, and avoidance which results in memories remaining unprocessed and that beliefs remaining unchallenged. Ehlers, A., Clark, D. M. (2000). 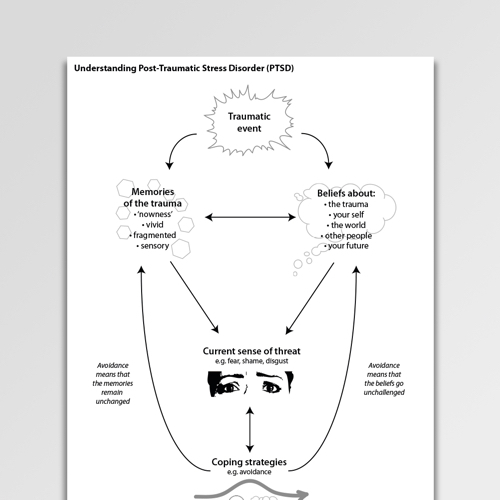 A cognitive model of posttraumatic stress disorder. Behaviour Research and Therapy, 38, 319-345.